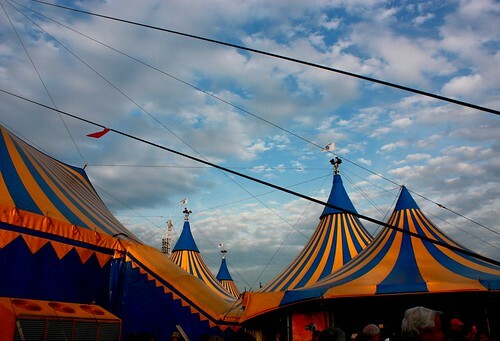 Last weekend a friend took me to Cirque Du Soleil for a great show on Randalls Island, NY. The show was packed with randomness, like an audience member being swallowed into the stage while another audience member’s chair shot several feet into the air via a hydraulic chair lift. If you haven’t had the chance to see a Cirque show I highly recommend–but be sure not to sit in the middle of Section 200, Row L or you’ll find yourself inches away from the ceiling when they shoot you to the sky!